Wellingore Hall was built around 1760 by Christopher Nevile (1743-1829), a Colonel of the South Battalion of Lincolnshire Militia. He was descended from one of the most powerful barons amongst ancient chivalry of England. The construction of Wellingore Hall meant that the Nevile’s abandoned their ancestral home at Auborn House and made the short journey across Lincolnshire. The house passed to his son Colonel Christopher Henry Nevile Noel (1774-1838). The family name of Noel was added on the demise of the Hon Thomas Noel of Walcot, near Stamford, and after his mother Lady Sophia Noel, sister of the last Earl of Gainsborough. He had been Lieutenant Colonel of the Rutland Fencibles, formed by Colonel, Sir Gerard Noel of Exton Park. 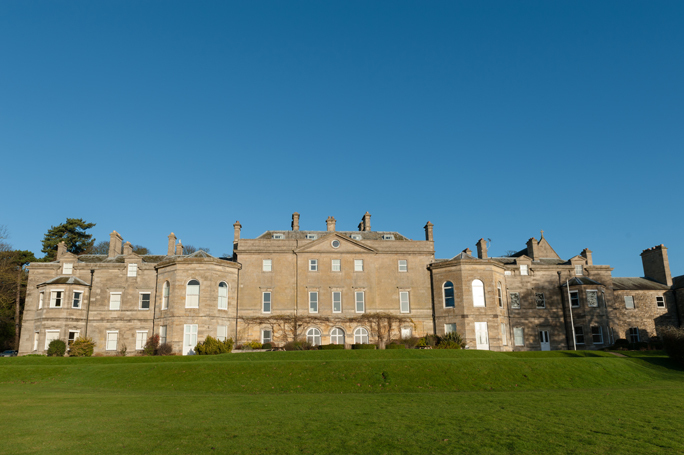 He made a number of lateral extensions to Wellingore Hall around 1800. Christopher Henry Nevile Noel died childless and Wellingore Hall was inherited by his nephew, Henry Nevile (1808-1861), the son of the Rev. Henry William Nevile, the Rector of Cottesmore. Henry spent most of his time at Walcot Hall and married Ellen, the daughter of the Rev. C Bryan of Woolastone in Gloucestershire, in 1847. He was educated at Harrow, was a Magistrate and Deputy Lieutenant for the counties of Northampton and Lincoln, and spent time in the Dragoon Guards. In 1861 he left Walcot with his wife intending to visit Italy but decided to spend time visiting Switzerland and France. They were on their way home when Henry became ill with rheumatism of the heart and died in Paris. Wellingore Hall passed to his only son, Ralph Henry Christopher Nevile (1850-1911) who made the house the family seat. He married Mildred Frances, daughter of Mr Charles Robert Scott- Murray of Danesfield, Buckinghamshire, in 1871, with whom he had four sons and three daughters. Ralph had been educated at Eton and King’s College and went on to become a J.P. for Kesteven and High Sheriff of Lincolnshire in 1883. He was a keen chemist, well known in the engineering world, and invented and perfected many early electrical devices. 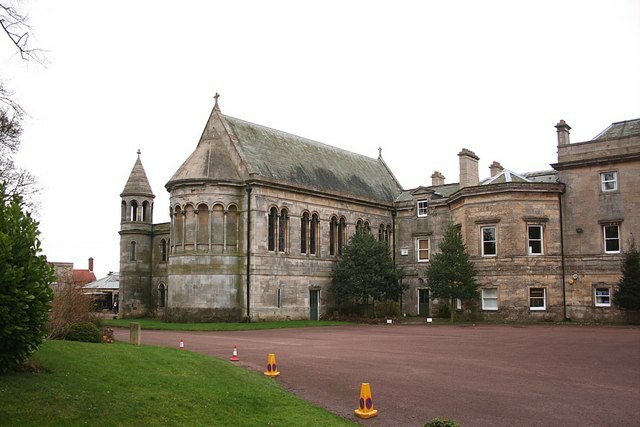 In 1876 he employed John MacVicar Anderson (1835-1915), the Scottish architect, to remodel Wellingore Hall. Around 1882 Ralph built a Roman Catholic Chapel, dedicated to St Augustine, attached to the hall. It cost £7,000 to build but two years later it was destroyed in a mysterious fire and rebuilt in 1885. For reasons unknown Ralph spent some time away from Wellingore Hall between 1891 to around 1899. It is possible that Ralph took his family to Crown Lea in Malvern but the Nevile’s retained a presence at the house. 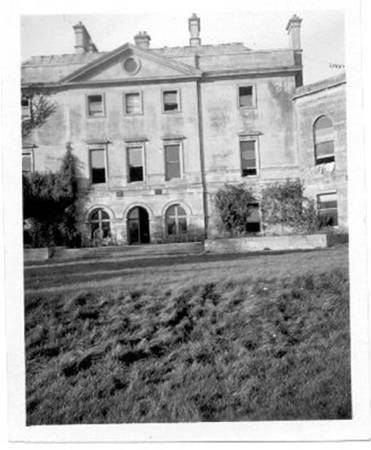 For the duration the house became an agricultural college under the supervision of Mr Frank Gray M.A. who relocated his school from Aldercar Hall in Derbyshire. 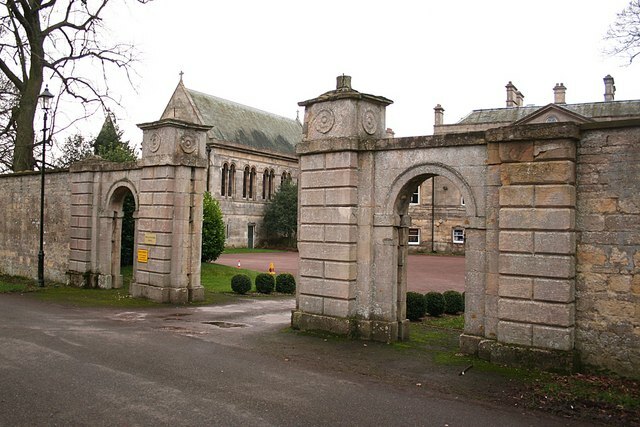 Wellingore Agricultural College housed about 30 boys between the ages of 15 and 20. It prided itself for taking a more liberal view to education and allowed pupils to ride, keep dogs and even permitted older boys to smoke. One famous student was Philip Henry George Gosse (1879-1959), the son of Sir Edmund William Gosse, who went on to become a General Practitioner and writer on natural history. By 1902 it appears the Nevile family had resumed control at Wellingore Hall. However, tragedy struck when his wife Mildred died in a car accident in 1908. Ralph remained at the house another three years until a long illness ended in his death in 1911. Wellingore Hall was inherited by his eldest son, Geoffrey Henry Nevile (1874-1935). In contrast to his father he was far more interested in agriculture. He had studied at Fort Augustus in Malvern and the Royal Agricultural College and assumed responsibility for the family estates. He did government work of farming and irrigation in Canada, Sudan and Egypt. Geoffrey was a pioneer in early mechanised farming as well as being a keen golfer and cricketer. His brothers, Hugh George and Bernard Philip, both lost their lives in World War One, and family responsibilities were shared with his remaining brother, Charles Joseph Nevile. Charles married Miss Muriel O’Connor, the second daughter of Sir Nicholas O’Connor, one time British Ambassador to Constantinople, in 1919. The couple also resided at Wellingore Hall but Charles spent many years abroad in Sudan and in the civil service being assistant commissioner to Dongola province. He followed the family tradition of being an excellent cricketer and would captain the Lincolnshire cricket team. He died at Wellingore Hall of heart failure in 1929. Geoffrey Henry Nevile died in 1935 but the Nevile family remained in the house. 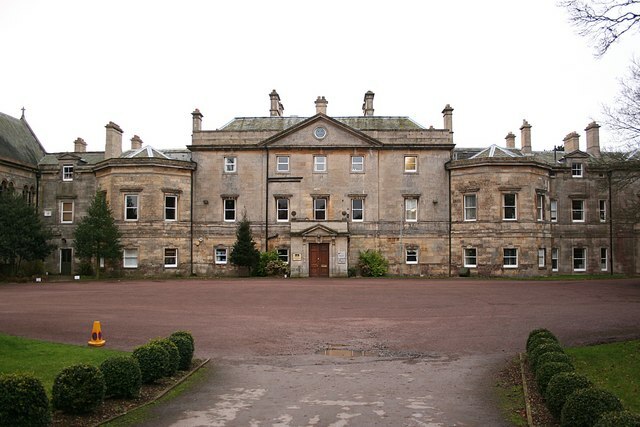 After the war the Nevile family finally turned their back on Wellingore Hall and returned to Auburn House. In November 1946 Kesteven County Council announced they wanted to purchase the house and surrounding land as a farm institute. Reports suggest the Nevile family were against the sale but the council threatened compulsory purchase if necessary. A year later RAF Wellingore closed and the land given back for agricultural use. The house suffered a period of neglect and the Nevile estate was finally sold in 1968. Thankfully it escaped the demise of many similar properties and avoided the bulldozers. Today Wellingore Hall exists as a business centre comprising offices and apartments.